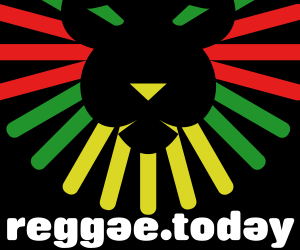 Music video by Shaggy alongside Chronixx performing Bridges...share the vibes! In 1993 Shaggy exploded on the music scene with his debut album PURE PLEASURE. His remix of the Ska classic Oh Carolina from that album was an instant hit in England and other countries. He released his Sophomore album BOOMBASTIC in 1995. The album went certified platinum, won a Grammy Award in 1996 for Best Reggae Album and topped the Top 40 Rhythmic charts, Hot 100, and Billboard 200. In 1997, Shaggy recorded his third album MIDNIGHT LOVER. In 2000 he released his fourth album HOTSHOT which went Diamond worldwide and Platinum 6 times in the United States. Notable singles from that album included “It Wasn’t Me” and “Angel.” “It Wasn’t Me” received a Grammy nomination. Single “Luv Me, Luv Me” featuring Janet Jackson was released on the Soundtrack for the movie How Stella Got Her Groove Back. The album also won best-selling album at the 2002 Juno Awards. In 2002 and 2005 Shaggy released Lucky Day and Clothes Drop respectively. Lucky Day went certified Gold in the US while single Strength Of A Woman made the Top 40 mainstream charts. Clothes Drop received a Grammy Nomination for Best Reggae Album. Shaggy co-starred in the Action thriller “Blast” alongside Eddie Griffin and Vivica Fox in 2004. In 2007 INTOXICATION was released and debuted at number 1 on Billboard’s Top Reggae Albums chart, was nominated for Best Reggae Album at the 51st Grammy Awards and was the number 1 download on UK iTunes Reggae chart. The first single, Church Heathen, from the album won the Best Music Video at the International Reggae and World Music Awards in 2008. The second single Bonafide Girl also made its way to number 1 on music charts. Shaggy recorded and released single “Feel The Rush” in 2008 which was used as the original anthem for the UEFA Euro Cup. The single was featured on various charts throughout Europe and India. And went certified gold in Germany. Shaggy Foundation was developed in 2008. He hosts an annual charity event in which all proceeds are donated to the Bustamante hospital to help defray the cost of medical equipment. To date, the Shaggy Foundation has been instrumental in raising over $85 million (JMD = $1 million USD) for the hospital. Shaggy partnered with Pan Caribbean Financial planners for their 11th annual SIGMA Corporate Run. With a 5k course that attracted 9500 runners, walker and wheelchair participants, the event raised $14 million (JMD)/$165,000 (USD) for the Bustamante Hospital. Other fundraising efforts include a performance at “Food For The Poor” Gala in Florida which raised funds to construct homes for earthquake victims in Haiti. Shaggy contributed a song, which was a remake of the 1974 classic “Kung Fu Fighting” by Carl Douglas, for Pepsi Cola in 2008. He appeared in the television commercial alongside T-Pain and Tami Chynn. In 2009 he recorded single “Fly High” which was used in a television commercial for Ferrero Rocher’s Ice Cream Bar, Maxi King and also appeared in the 30 second advertisement. “Fly High,” was used for Ferrero’s trailer campaign on VIVA (a television network in Germany co-owned by Viacom). Shaggy also acted as the international icon for Ultimate Ear products for brand Logitech. Shaggy co-wrote a book and CD set entitled “Shaggy Parrot and the Reggae Band.” Sales from the book and CD set benefits the Bustamante Hospital in Jamaica and Tatiana McIntosh Scholarship Fund in Florida. The book was also donated to basic schools in Jamaica to be used as part of their curriculum. In 2011 Summer in Kingston was released under Shaggy’s new label Ranch Entertainment, Inc.
Shaggy received a Grammy Nomination for his tenth studio album, Summer in Kingston in 2012. Shaggy appeared on The Tonight Show with Jay Leno, The George Lopez Show and The Today Show with Kathie Lee and Hoda promoting the album. In September 2013, Sly & Robbie Presents Shaggy will release a collaboration album entitled, “Out of Many, One Music.” On tour in 2010, Shaggy and Sly and Robbie conceived the idea and started production in 2012. Recorded in New York and Jamaica, the album features Neyo , Beres Hammond, Konshens, Taurus Riley, Coco Tea, Joe, Morgan Heritage, Tessanne Chin, Chronixx, Jimmy Cozier and Damian Marley. The first single “Fight this Feeling” with Beres Hammond was released in May 2013 and has been quickly climbing the charts. Media outlets and industry insiders have all agreed that the single is a game changer, going back to a classic reggae rock steady vibe. The second single, "You Girl", featuring Grammy Winning pop artist Ne-Yo is slated for release mid-summer 2013. “OUT OF MANY, ONE MUSIC,” has already received tremendous feedback from industry tastemakers through various listening parties. Orville Richard Burrel, conosciuto con lo pseudonimo Shaggy (Kingston, 22 ottobre 1968), è un cantante statunitense di origine Giamaicana. Deve il nome ai suoi amici, che lo associavano al personaggio della serie animata Scooby Doo Norville "Shaggy" Rogers. La sua famiglia emigrò negli Stati Uniti dalla Giamaica e si stabilì nella città di New York. È stato notato per avere un tono di voce baritonale, ed è facilmente identificabile per il suo marchio commerciale e per il suo modo di rappare e cantare.